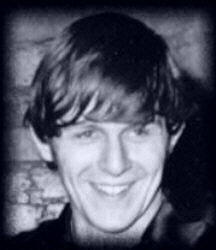 Carl Wayne was born on 18th August 1943 in Dudley Road Hospital, Birmingham. He passed away peacefully in his sleep on August 31st 2004. Though he had recently been diagnosed with cancer of the oesophagus, the illness had not interfered with his session recording or concert tours with The Hollies. During the group’s European shows in July, Carl was his usual enthusiastic and energetic self, dominating the stage and dazzling the audience with his superb performance and vocal skills. A few weeks after his last concert with the band, Carl went into hospital for a routine check up. Without warning, his condition suddenly deteriorated and within a few short days, with his family at his bedside, Carl died. 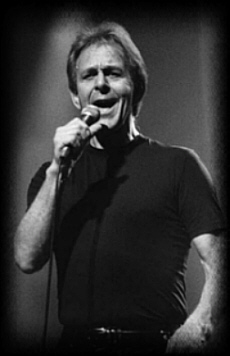 One of the most distinctive and versatile voices in music, Carl achieved major recording success with The Move, whose many hits include Blackberry Way, Fire Brigade, Curly, I Can Hear The Grass Grow and Flowers In The Rain, the first ever record played on BBC Radio 1 by DJ Tony Blackburn. 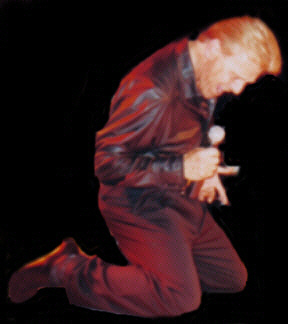 An exceptional stage performer and vocalist, Carl was The Move's front man and spokesman during their most dynamic and controversial years. Their live shows, while musically thrilling and accomplished, have been remembered for Carl's frenzied demolitions of televisions, instruments and stages with an axe, chain-sawing a Cadillac to pieces at London's famous Roundhouse during Fire Brigade, resulting in Soho being jammed with fire engines. 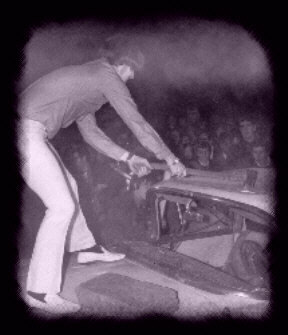 So shocking and fiery were The Move live, that, for a while, the group were banned from every theatre venue in the UK. They even threatened Harold Wilson's 1960's English Labour government with the furore surrounding Flowers In The Rain's promotional campaign. Away from the controversy and violence, The Move scored top ten success in the UK and European charts with Roy Wood's classic songs and performed with The Jimi Hendrix Experience, Cream, The Pink Floyd and many more. Shazam, Carl's final album with The Move, was described as "a masterpiece" by Rolling Stone magazine and contained one of his finest vocal performances on the Wood-penned Beautiful Daughter. After leaving The Move, Carl worked extensively in theatre, television, film and cabaret. For many years, he was one of the top singers in advertising, recording hundreds of jingles and voice-overs for radio and television throughout the world. Numerous television appearances include Lunchtime With Wogan; Pebble Mill, Hi Summer (series); Emu's Wide World (series); Ask No Questions (series); The Karen Kay Show; Jim'll Fix It; The Time Of Your Life; The Benny Hill Show; The Jim Davidson Show & Specials; John Lennon Special (BBC); The Generation Game. In acting roles, Carl has appeared in Crossroads; Chance In A Million (with Simon Callow and Brenda Blethen); and The One (ITV series). 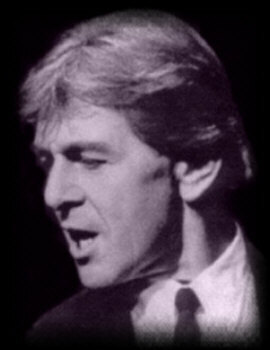 Carl recorded an enormous amount of solo material, including San Diego; Take My Hand For A While; Imagine; Miss You Nights; Aerial Pictures; Deeper Than Love; Midnight Blue; Come On Round My Place; The Andrew Lloyd Webber Collection; Grease; The Andrew Lloyd Webber Songbook (with Stephanie Lawrence); The Phantom Of The Opera; Aspects Of Love; Jesus Christ Superstar; Hair; Godspell; Cats; Evita (with Marti Webb); Miss Saigon; and more recently on the musicals front, a new concept musical entitled In The Red with Peter Polycarpou. His recording of A Little Give, A Little Take was a Song For Europe entry and Carl's recordings of theme songs to Hi Summer and New Faces achieved UK chart success. Carl’s long and varied career included collaborations with Roy Wood, Louis Clark, Jeff Lynne & ELO, Big Jim Sullivan, Magnum, Heads, Hands & Feet, Don Paul, Lynsey De Paul, Jim Davidson, Stephanie Lawrence, Alla Pugatchova, Paul Jones and many, many more. A major career highlight saw him representing England at the prestigious Golden Orpheus Song Festival in Bulgaria. In front of a live and televised audience of over 20 million, Carl won first prize: "Carl Wayne is the finest ambassador our country has ever had at these proceedings. They cheered and encored him until it seemed impossible anyone else would be allowed on stage." "Carl Wayne as the sardonic Narrator is both judge and jury of the impending tragedy and the chiselled cheekbones stare impassively through the highs and lows of the unfolding lives. The chilling 'Shoes Upon The Table' is sung with power and frightening intensity. Macho and mesmerising, he is the Greek Chorus on the Mersey." The new Millennium got off to a busy start. 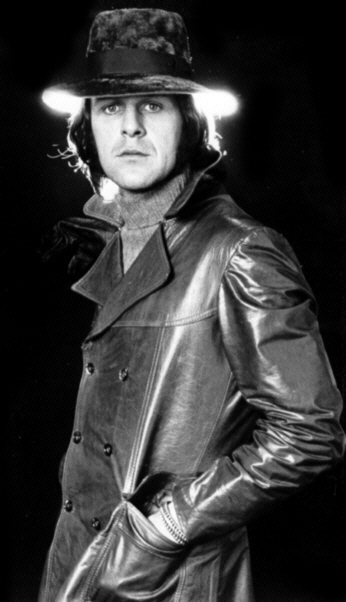 In February 2000 Carl began a brand new chapter in his career by agreeing to succeed Allan Clarke in legendary group The Hollies. Carl became a regular interviewee on BBC and Independent radio, raising the profile of the band far and wide. During his four years with the band, he successfully toured the UK, Europe, Australasia and North America with critically acclaimed, sold out performances. 2000 also saw him perform at the BBC's Music Live event as a special guest of American band The Shazam. Joined by fellow Move member Bev Bevan, they broadcast live from Abbey Road Studio 1 singing Move songs "Beautiful Daughter" and "I Can Hear The Grass Grow". Renowned Move fan Paul Weller was in attendance, cheering from the control room! Carl also sang in the event's finale, a countrywide live link up of "Perfect Day," broadcast to a worldwide audience of 100 million! In February 2001, The Hollies visited Australia and New Zealand where, at one show, they played to a crowd of 28,000 people. The live shows were so successful that "The Hollies Greatest Hits" was re-released by EMI in New Zealand. It went to Number 1, knocking The Beatles "1" CD off the top spot in the process! 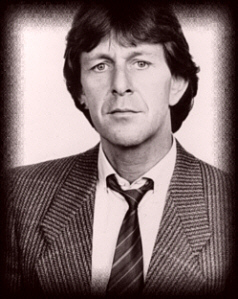 Such was Carl's impact on the New Zealand audience, he was invited to return to the role of the Narrator in the NZ production of "Blood Brothers." Sadly, due to his commitments with The Hollies, Carl was unable to accept. During February 2003, the band returned to Abbey Road studios, to record “How Do I Survive”, a brand new track for their 46 song double CD The Hollies Greatest Hits (EMI Records). The group celebrated their 40th anniversary the same year and completed a UK tour which was followed by overseas dates and a 4-cd boxed set released in September. 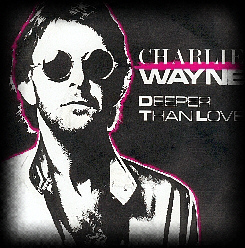 In July 2001, a remastered edition of Carl's debut solo album was released on CD by BMG Japan. Thirty years after its original release by RCA records, the album remains innovative and daring and features still-uncredited performances by Dusty Springfield on backing vocals. The CD is now a collector’s item. Carl also appears on the new remastered edition of ELO's 1973 album, "Electric Light Orchestra II", released March 2003 on EMI Records. Originally recorded in 1973, Carl sings lead vocals with ELO on three previously unreleased Jeff Lynne original songs. As far as new recordings go, Carl returned to the studio in 2001 to record a unique version of Jeff Lynne's masterpiece "Steppin' Out". This appears on a Jeff Lynne and ELO tribute album entitled Lynne Me Your Ears, released in 2002 on Not Lame Records in the UK and USA (Not Lame Recording Company NLLYNN1). More recently, he teamed up with German pop project Et Cetera to record his version of Mike Batt’s “Soldier’s Song”, a favourite from the Hollies’ live set. A great supporter of Leukaemia Research, for many years Carl ran marathons and competed in triathlons all around the world to raise money. His latest success in the London Marathon saw him complete the event in a time of 3:37:17, coming 6,157th out of 32,000 runners. Carl leaves behind him an enormous musical legacy and a legion of friends and fans committed to preserving his memory and showcasing and celebrating his work and achievements. A very special memorial concert is being planned for 2005 and several projects to bring unreleased material to light on CD are currently underway.